You probably know that vitamin D3 is key for combatting S.A.D – a potent supplement can be just as effective as exposure to sunlight. 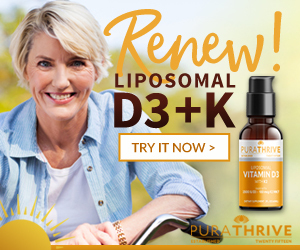 Combining a vitamin D3 supplement, specifically one that is combined with vitamin K2, with apple cider vinegar, is truly a winning combination. There are a lot of studies that link Vitamin D and seasonal affective disorder, as well as shifts in your mood in general. There was one study in particular published in the Journal of Nutrition, it looked at a number of people that had SAD. The comparison made was between those that were consuming a Vitamin D supplement versus those who were getting a lot of sun. They found that they both had identical results. This means that you can get the same effect from a supplement that you can get from the sun. Very handy during the winter months! Plus, check out this video on how vitamin D3 can help boost your immune system! How else is this going to help your mood? The answer is mineralization, which means it’s going to allow your body to utilize magnesium and calcium a bit better, and magnesium has been shown in multiple cases to help with anxiety, but also your mood in general. Here’s the recipe – simply combine, and enjoy! Apple cider vinegar on it’s own is not the most appetizing flavor out there – though it does bring a lot of health benefits to the table. One such benefit is improving your mood balance by boosting serotonin, which can help those struggling with Seasonal Affective Disorder. Combined with a few other delicious ingredients, apple cider vinegar can not only pack a powerful punch, but the end result can be delicious! There was a study published in the BMC Journal of Complementary and Alternative Medicine that found a direct correlation in cinnamon and a decrease in inflammation in the brain. Obviously, reducing some inflammation in the brain will help us feel a lot better. Try out this powerful cocktail and let us know what you think in the comments!